Situated just two miles north of Boston, Somerville is not only the most densely populated community in New England but also one of the most ethnically diverse cities in the country, with immigrants from countries around the world proudly calling Somerville home. As a stronghold during the American Revolution, history floods this neighborhood, from the historic Powder House and Prospect Hill to the shadows of the route taken by Paul Revere on his famous "Midnight Ride." With over 50 languages spoken in Somerville's schools, a diverse cultural eclecticism of traditions and holidays is celebrated throughout the year. Like Cambridge, city "Squares" define Somerville and mark sub-neighborhood boundaries, from Davis Square, Union Square, and Ball Square to Teele Square and Magoun Square. Ethnic restaurants, bars, shops, and entertainment are abundant in offerings and rarity, providing, truly, a bit of everything for everyone. 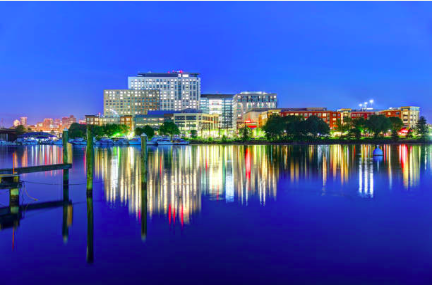 Most notably, Assembly Row, with its stunning urban environment along the Mystic River, provides some of the best shopping and restaurants north of Boston. Only rivaled by New York itself, Somerville has a staggering number of artists per capita, earning itself the title: "Arts Central." Interested in the Somerville Real Estate market? Single-family homes are seeing the likes of $600,000 - $2.15 million. Condos are fetching anywhere between $450,000 - $1.5 million. With parking at a premium (one vehicle for every 1.6 Somerville residents -- more than the likes of Boston and Cambridge), parking policies and regulations are strictly enforced. Here in Somerville, MBTA Public Transit runs often and rampant. 425 Medford St Condominium Bldg.